More importantly, it’s also a haven for beauty shopping! 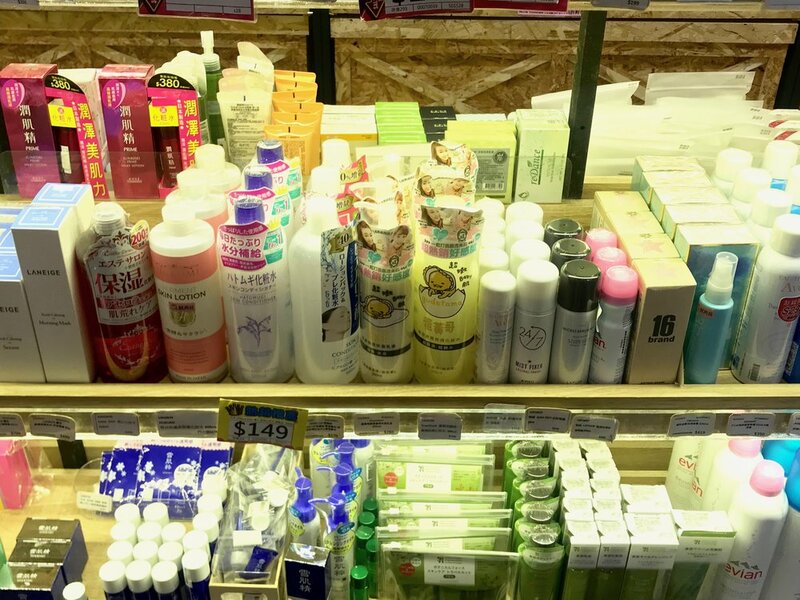 Taiwan is a beauty manufacturing hotspot so you'll notice that a few of our local cosmetics brands have "Made In Taiwan" stamped on their boxes. 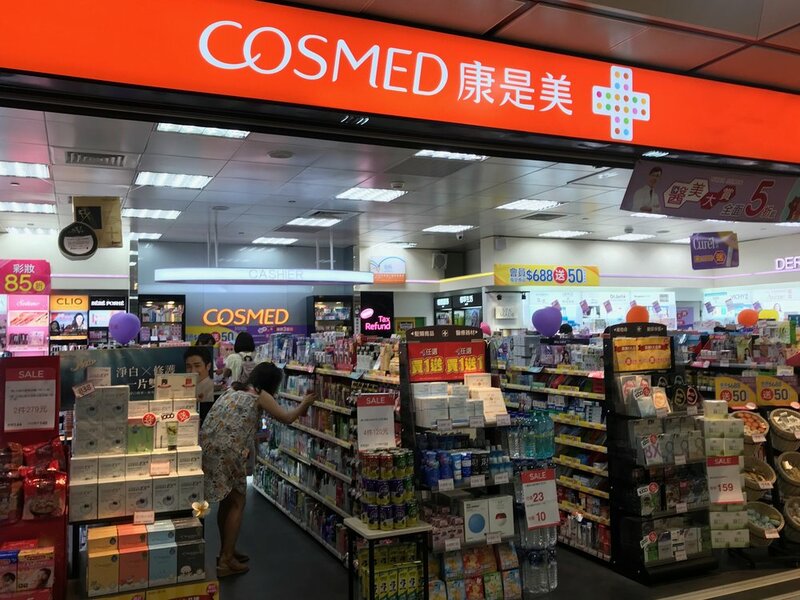 Taiwanese brands, on the other hand, like Naruko, 23.5°N, and Dr. Morita have been making it to our shores because of Taiwan emerging as an Asian beauty leader. I was recently there for a trip with my family, so I made sure to check out the beauty scene! 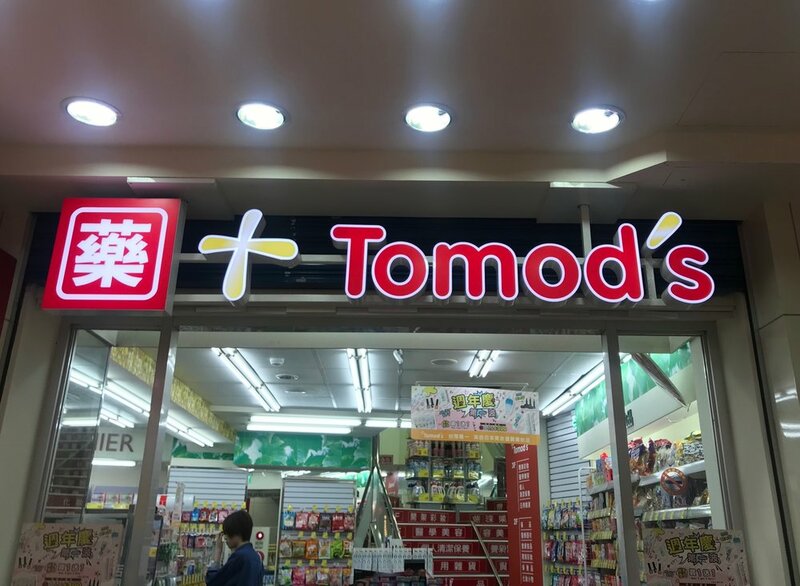 If you'll be traveling to Taipei, do add these stores to your must-visit list. Found around almost every block and even in the MRT stations that are connected to malls or stations with connecting train lines, these are your gateway shopping places! You can even do all your beauty shopping here if you have limited time. These places carry Japanese brands like Heroine Make, Integrate, Kate, Biore, and Anessa among others. They also carry Bourjois and MEMEBOX! Make sure to check out L’Oreal and Maybelline’s selections as well, as they sometimes carry Asia-exclusive stuff. And these three will also carry popular local brands like Dr. Wu, My Beauty Diary, and Timeless Truth Mask. One thing to note: make sure to compare prices among the drugstores! One store may be carrying a sale/promo that the other is not, so if you can, hold out for a good deal! This shop mostly categorizes its wares by product variety so you can’t really pin down what brands are there unless you look closely. Some of the brands I spotted are Neogen, A’PIEU, Clio, and Etude House. 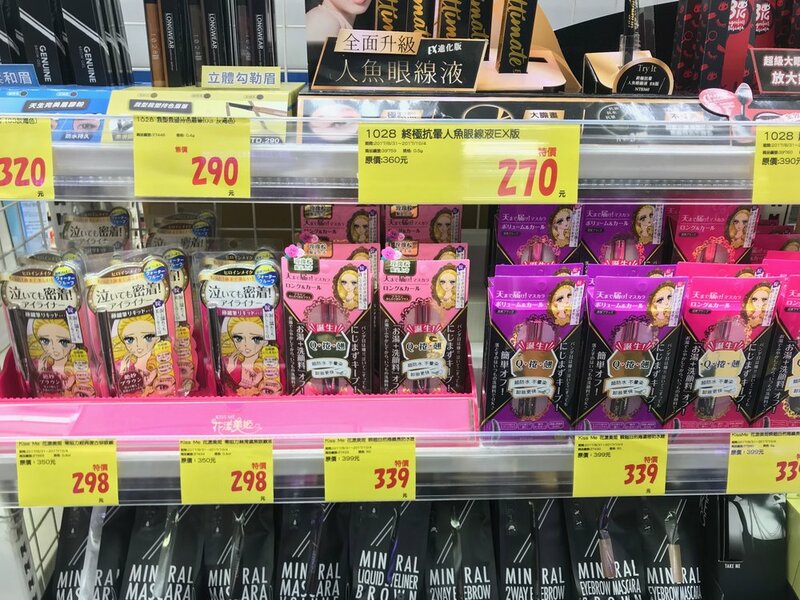 They also have a wide selection of Miss Hana products, which is a popular Taiwanese brand whose eyeliners have a cult following in online beauty communities. 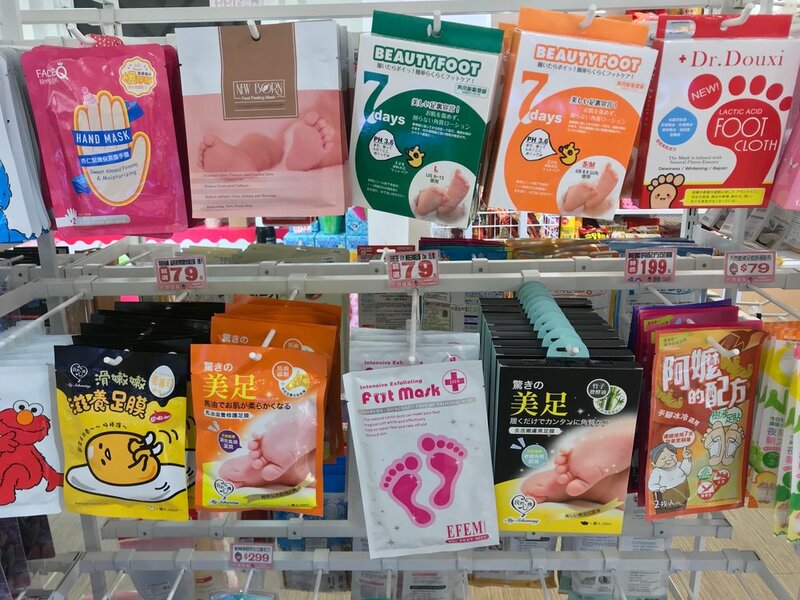 Visit 86 Shop if you’re looking for a really good variety of masks, and if you prefer to browse by product than by brand! It's actually pretty helpful because you get to see all the brands available and compare prices before deciding to make a purchase. 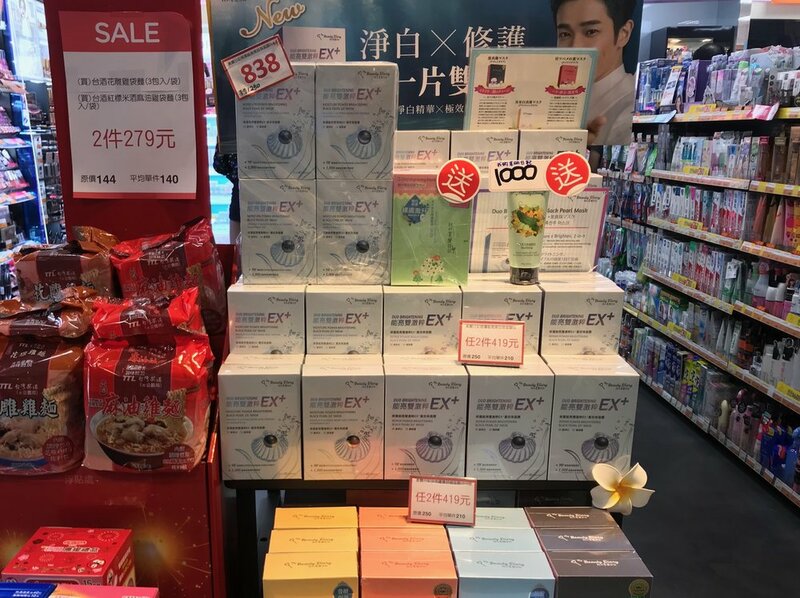 The Taiwanese have also gone gaga over sheet masks, and L’Herboflore is one of the most recommended brands I saw on Reddit! 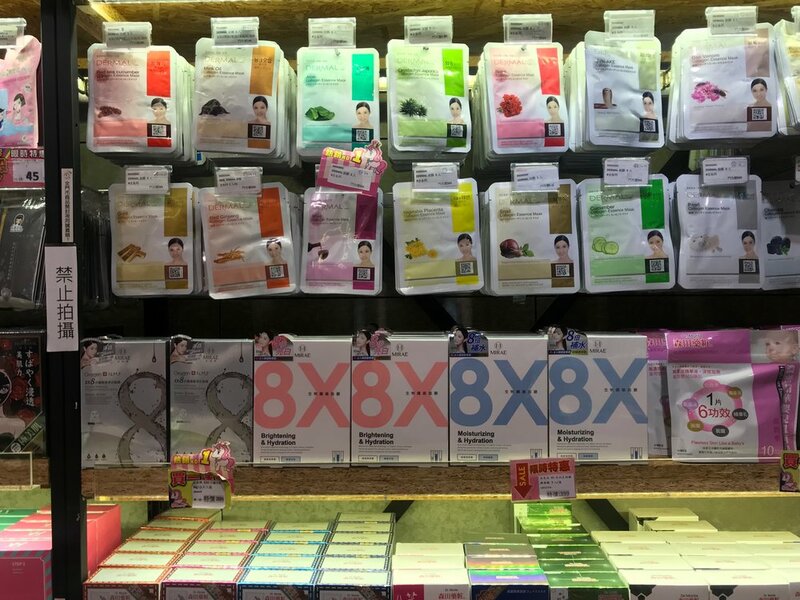 They have the cutest sheet mask packaging and have a wide assortment of ingredients and mask types ranging between NTD60-NTD120 (P100 to P200). This brand was a little harder to find compared to the previous two options but luckily I spotted it in the Taipei Eslite Spectrum Xinyi Store. 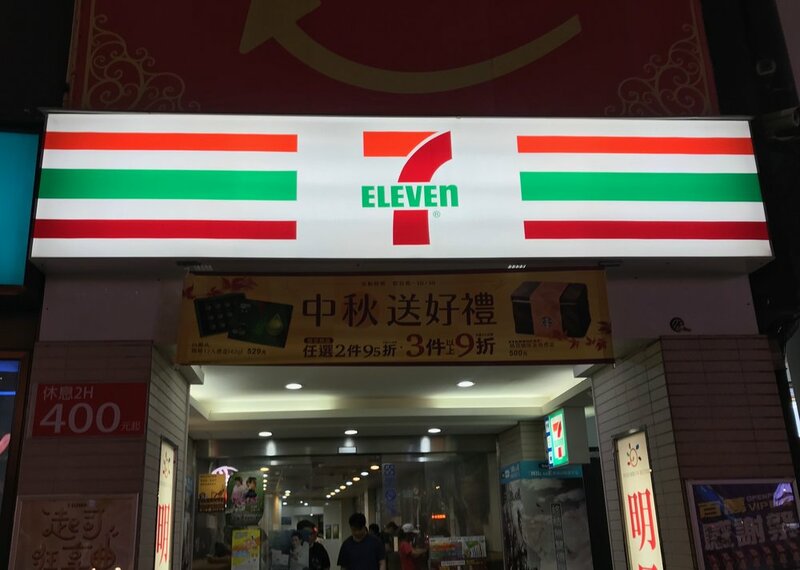 Other places to find are in Taipei 101 Mall, Taipei Shinkong Mitsukoshi Xinyi, and Taipei Eslite Spectrum Songyan Store. 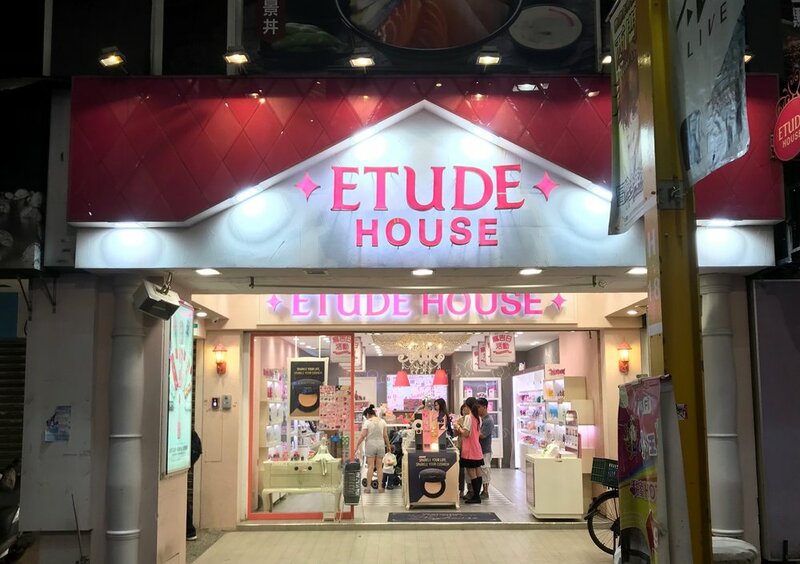 While not a specific store, I find that the Ximending district is a great place to shop for beauty if you want to find everything in one place. It’s not Myeongdong or Shibuya-levels of overwhelming, so you can comfortably stroll around without salesladies suddenly grabbing and dragging you to their shops (Myeongdong) or bumping into a million humans (Shibuya). 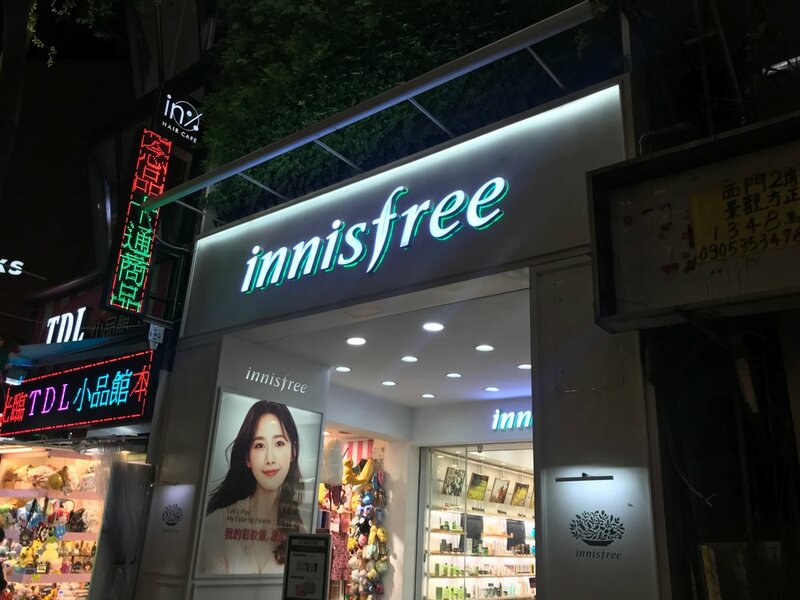 This trendy, youthful area boasts of several drugstores like Watsons and COSMED, and several Korean roadshop brands like Innisfree, The Face Shop, and Etude House. These stores update their products at the same time as Korea so if you want to get something from these brands that isn’t available here, grab ‘em! You can also find other beauty stores like SASA and Little Three (小三美日). 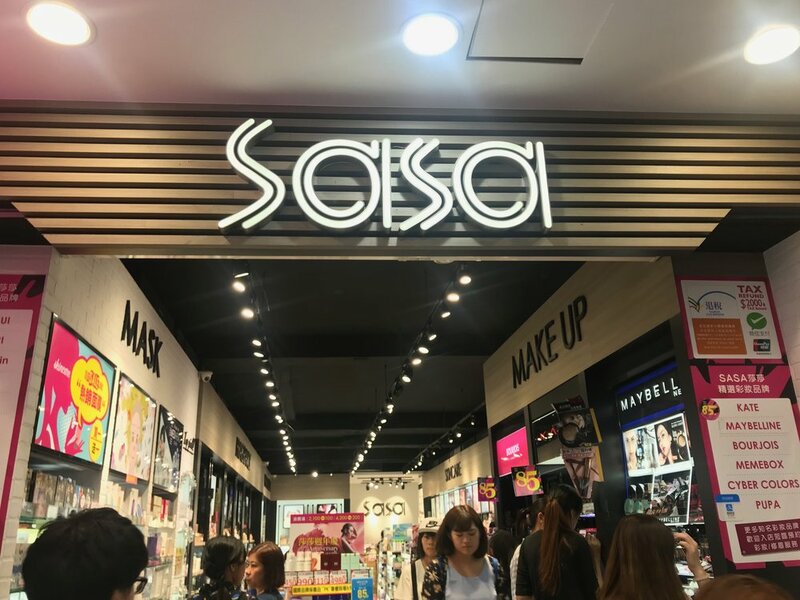 SASA is a popular beauty store in Hong Kong and other Southeast Asian countries, and even carries perfume brands. Little Three, on the other hand, carries different sheet masks that range from the cute to the quirky. 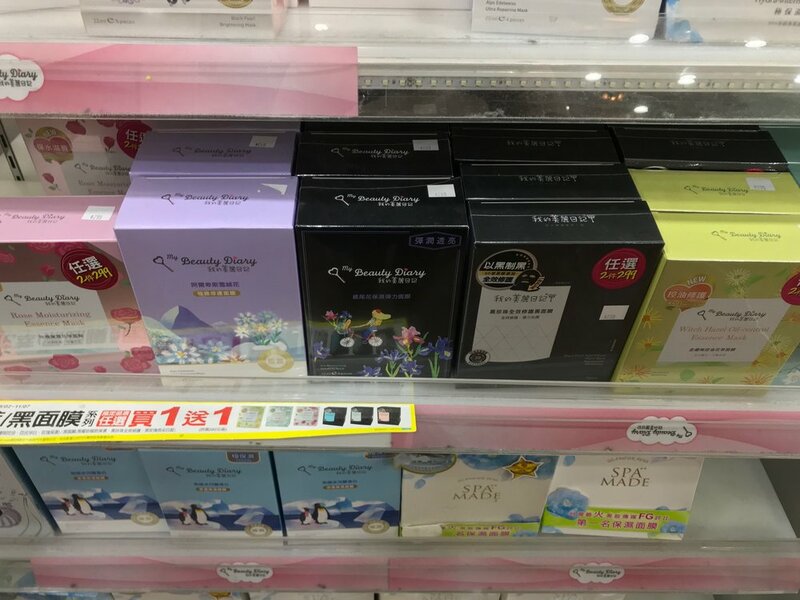 Another small beauty store called Paris Strawberry is also a great place to check out for dirt cheap Korean sheet masks, a good selection of The Saem products, and a variety of Korean, Taiwanese, and Japanese brands. 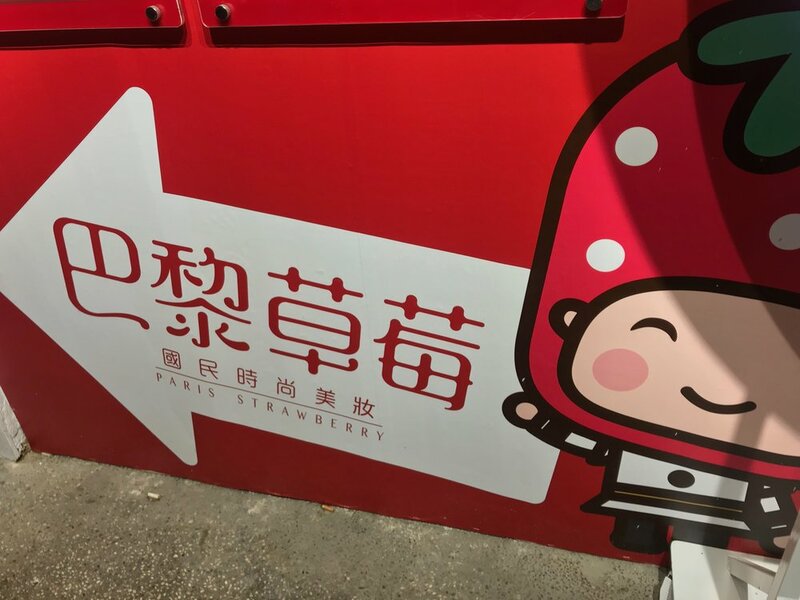 The downside of this particular store is that it is hidden away in Ximending’s alleys. After beauty shopping, you can also do clothes shopping and enjoy an order or two of Taiwan's famous street food! Granted, 7 Eleven is literally the go-to for convenience and emergency needs but Taipei stores seriously surprised me as they actually sell boxes of sheet masks! 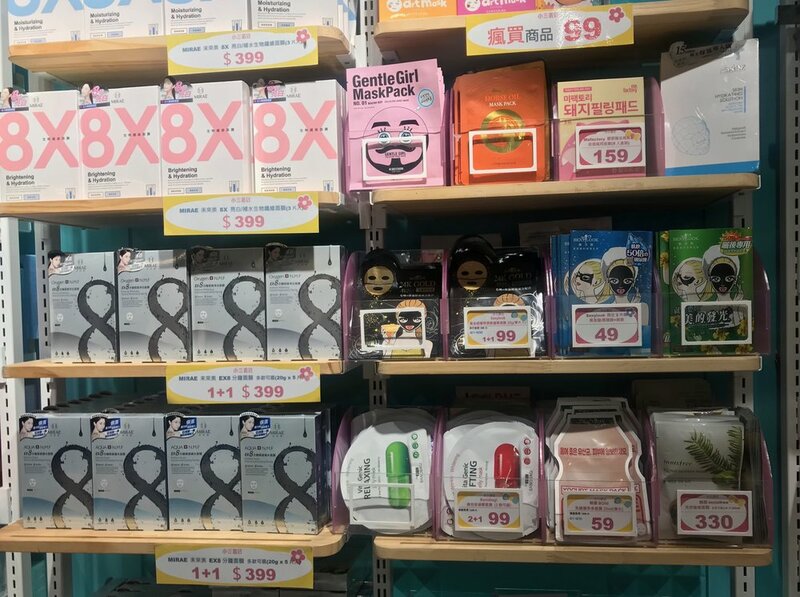 They will only sell certain brands like My Beauty Diary or Dr. Morita, but if you ever feel like you lack sheet masks in your baggage and you find a 7 Eleven, chances are you can find a box or two there! If you can’t find the price of a product, you can often find it near the barcode of the product with this character: 元. 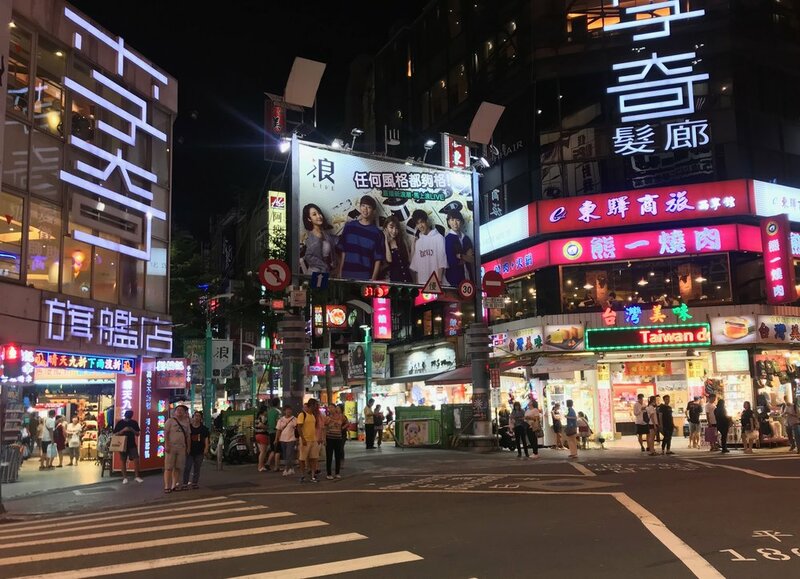 Planning to go shopping at Ximending at night? Most stores close at 11PM! If your beauty purchases amount to NTD2000-3000 (depending where you shop), you qualify for tax exemption! Read all about it here. Have you been to Taipei? If you have, what other places do you recommend checking out to go beauty shopping? Beauty Roundup: A My Little Pony collection, Manic Panic in the PH, and the Sephora Sale! Splurge vs Save: Which eyebrow peel-off tint is better, K-Palette or Maybelline?